Turns out people have some pretty high standards when it comes to Twitter response time. Especially when they've got a bone to pick with your brand. 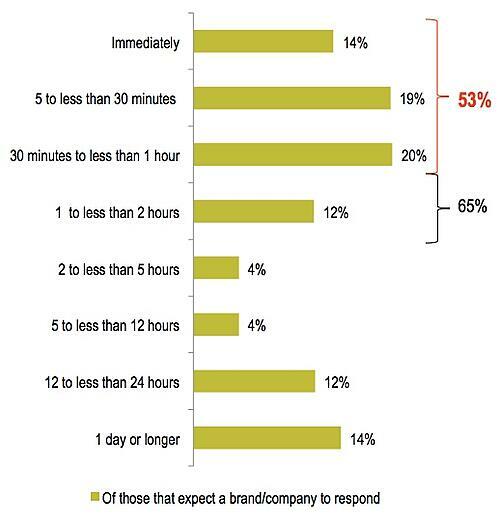 We recently came across some survey data from Lithium Technologies that shows just how critical response time is in social media if you're a brand. 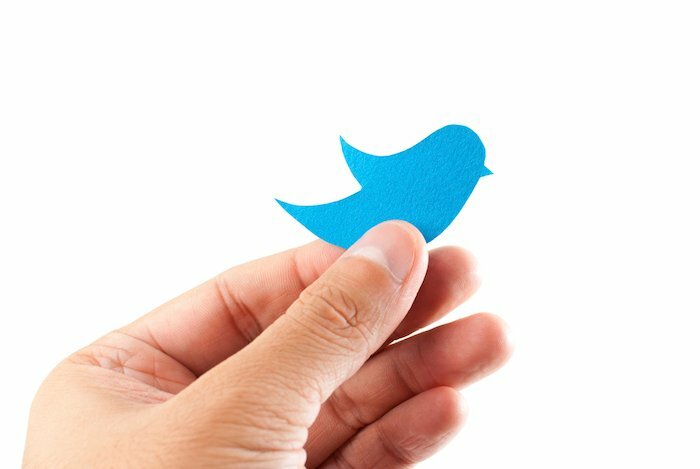 According to charts published on Search Engine Watch, 70% of surveyed Twitter users expect a response from brands they reach out to on Twitter (Tweet This), and of those users, 53% want that response in under an hour (Tweet This). Impatient little bunch, eh? 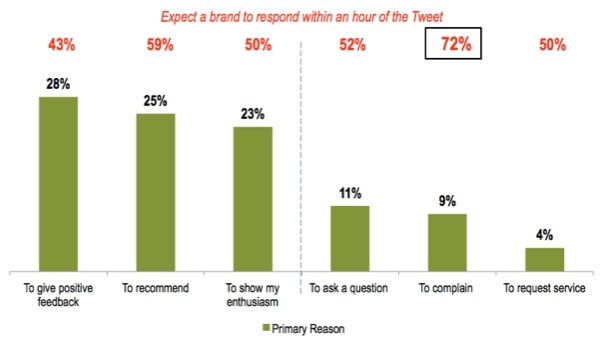 People get even antsier when they have beef with the brand: The percentage of people who expect a response within the hour increases to 72% when they're issuing a complaint (Tweet This). 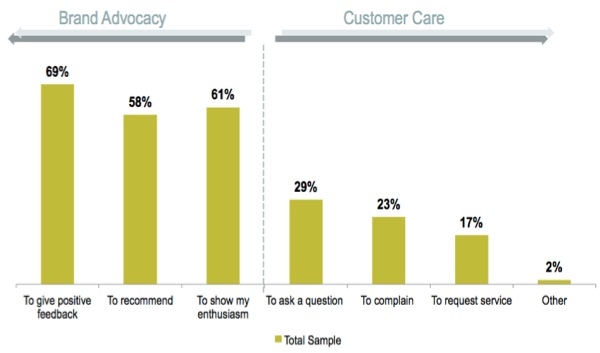 So how does poor response time impact people's perceptions of the brand? For the majority -- 49% -- their perception doesn't change at all (Tweet This). 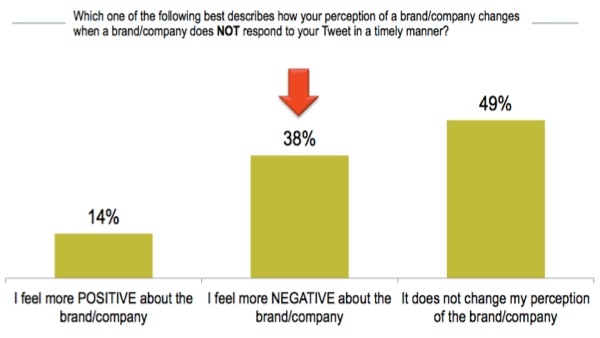 That said, 38% hold a grudge, saying they feel more negativity toward the brand as a result (Tweet This). And ... would you look at that ... strangely, 14% actually end up feeling more positive about the brand (Tweet This). Now I'm not exactly sure what to make of that 14%, but the vast majority of this research clearly indicates that devoting resources to customer service on Twitter (and likely other social networks where applicable to your brand) is critical for companies. Luckily, the payback is good. 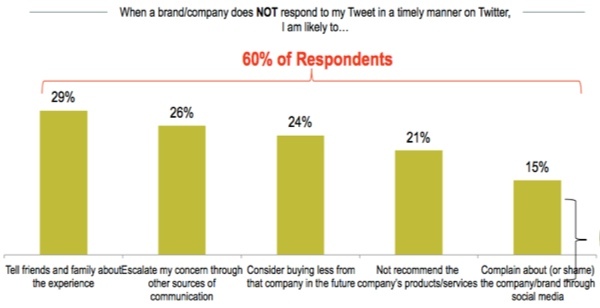 In fact, the majority of interactions between people and brands on Twitter is positive to begin with. No sense in ruining all that positive engagement with poor Twitter management, now is there? Learn how to tackle real-life social media customer service obstacles in this post, and consider a tool like Social Inbox to make social media management more, well, manageable.